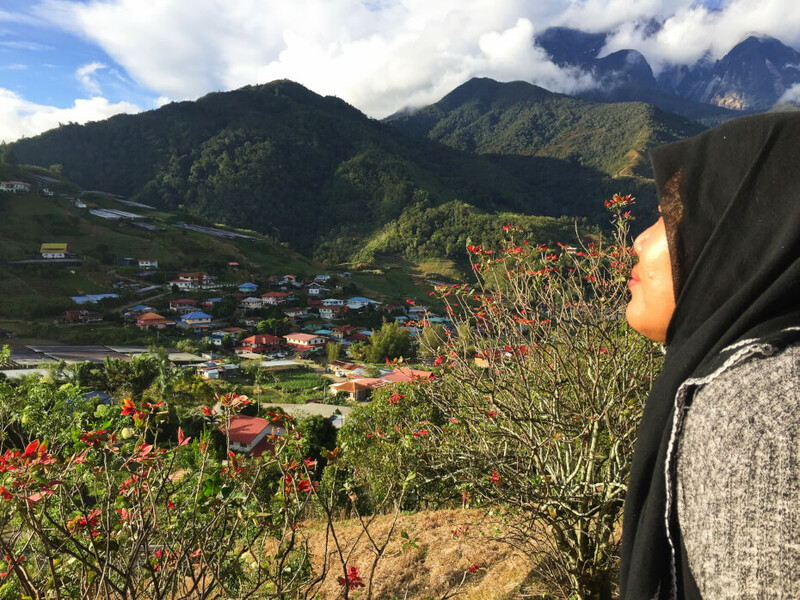 Thanks to the recently awarded best low-cost airline company (AirAsia), this girl from the capital city recently went on a trip to Kota Kinabalu via AirAsia for only RM19 (return) and we are stunned by the photos taken by her during the trip. Eeman Teoh, a local freelance writer and editor, is also a travel junkie and a huge believer in low budget traveling. By that, we mean she minimises every expense including accommodation, shopping, food, transportation and finally, flights for every trip she makes. On a side note, Teoh went on a trip to Milan and Paris with her friends under a budget of RM3,000 in April last year. Read their amazing experience here and you may find some tips that work for you. Now back to her recent trip to Kota Kinabalu, Teoh has always been a loyal customer of AirAsia and flying to Sabah for only RM19 this round definitely elevated her experience with the low-cost carrier. To recap, Teoh got her tickets during the FREE Seats Promo campaign few months before the trip. “I am always on the lookout for cheap flights during AirAsia’s promo campaign such as FREE Seats Promo and Final Call Sale. This is why I get to travel almost every month when the timing is right and I managed to score myself some cheap tickets like this round,” said Teoh. Throughout the trip, Teoh managed to borrow a car from a friend staying in the city and this has helped to extend her budget for other things. Yes! You do not have to spend a fortune to have a good time like what Teoh did here. 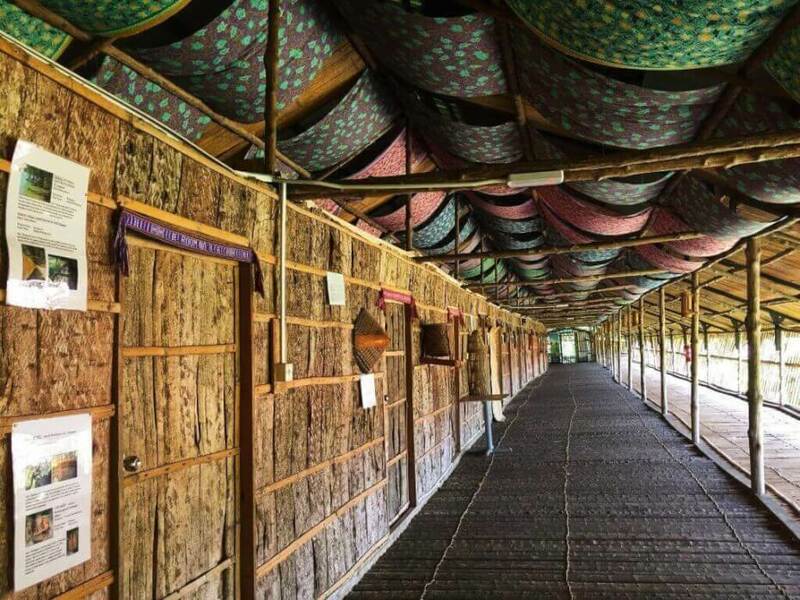 If you are looking to have a taste of the life of orang asli in the state, this place is the perfect accommodation for you at an affordable price. Teoh went for a night stay with her other two friends and it was worth every single ringgit. Room per night is charged at only RM 100 and you get to share this with two other friends! 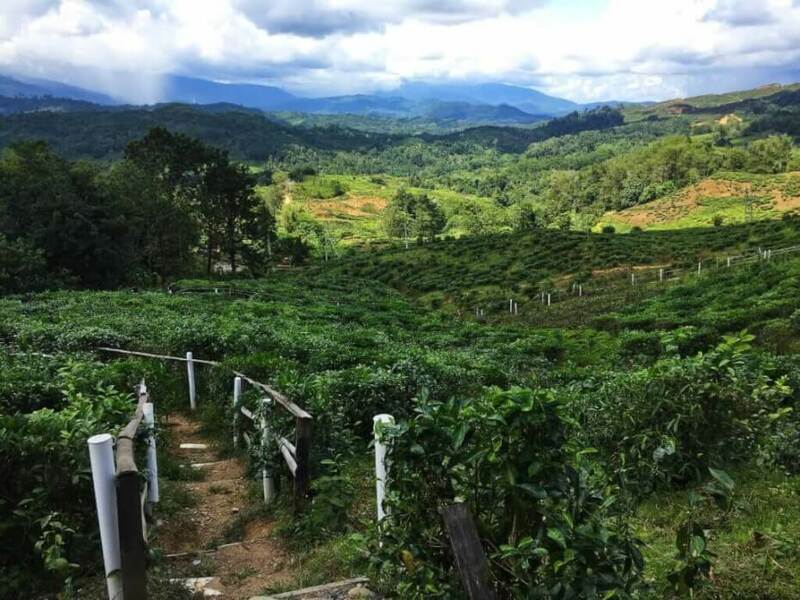 Equipped with three single beds and a fan, Teoh, and her friends got to enjoy a chilly night in this place surrounded by one of the world’s oldest rainforest, as well as the great view of the morning tea plantation and Mount Kinabalu. Look at the view of the morning tea farm. Hard to resist, right? With admission fee at only RM 3 per Malaysian, it is definitely a huge loss if you miss this on your trip. Teoh also shared that dipping their feet in the warm spring water helped to take away some of the sores after a tiring hike. Teoh (middle) and her friends dipping their legs in the soothing hot spring. This waterfall is located right inside the Poring Recreational Park (the same location of Poring Hotspring) and you get to enjoy a great splash of pure water pouring from the hill for refreshment. It’s so worth the RM 3 for each for it is a good place to be after a dip in the hot spring. Teoh (right) enjoying the fresh water nearby Kipungit Waterfall. 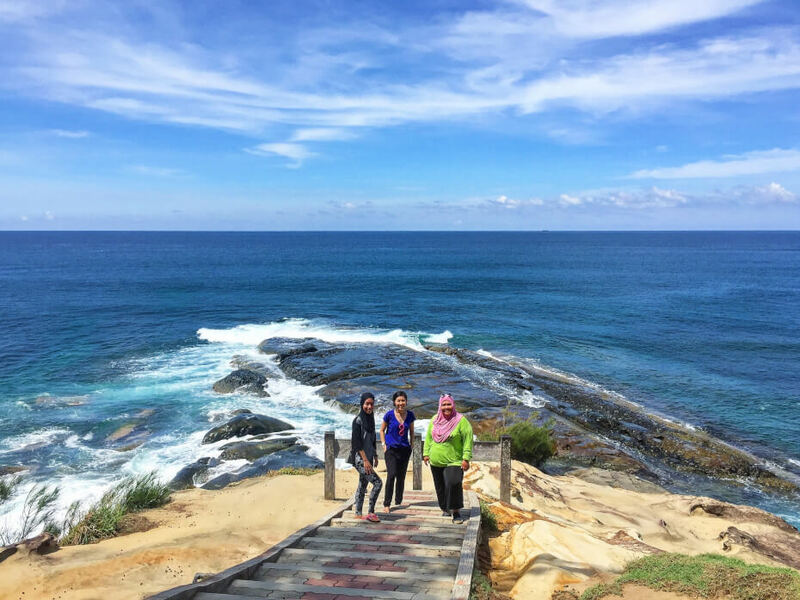 Given the car Teoh borrowed from her friend during her trip in Kota Kinabalu, she managed to go on a road trip with her two besties to check out the dramatic headland known as Tip Of Borneo for a stunning view that marks the meeting point of the South China Sea and Sulu Sea. Though it took her about a three-hour drive to reach the destination, the view does not disappoint at all! If you want to rent a car to come here, you might want to have at least two or three friends on board like Teoh to share the cost of petrol and accommodation. If you are not impressed by this view, we don’t know what else will. Don’t forget to stop by this bridge for its breath-taking views while you are on your way to Tip Of Borneo. For a mere RM 2 to enter, you can visit this museum and explore some of the first memorials to commemorate the brave Australian and British Prisoners of War who died in Sandakan and during the infamous death marches to Ranau during World War II. 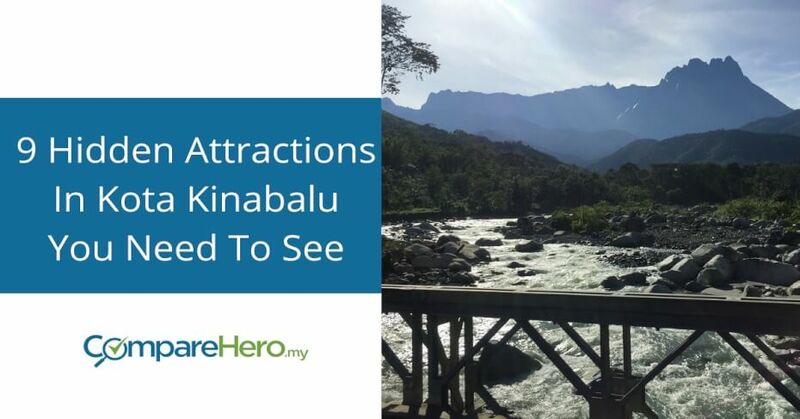 For those who plan to visit Kundasang, remember to put this on your must-visit list and take a step in reliving the memories of those who fought for the land that we are stepping on today. The Memorial is made up of four beautiful gardens – the Australian Garden, the English Garden, the Borneo Garden and the Contemplation Garden and Pool – to represent the different nationalities. So if you are a green environment person, this is another great reason to visit this place. The view here is mesmerizing and we are not kidding! Just breathe it all in. 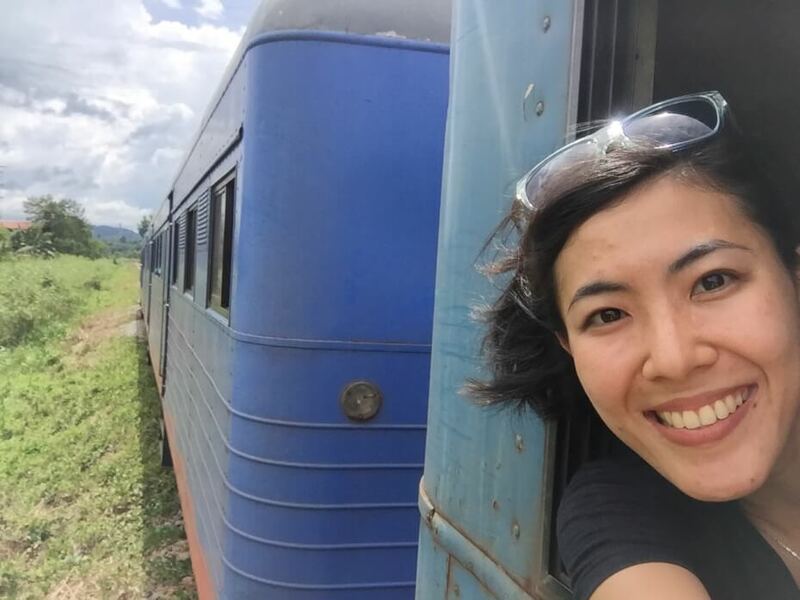 If you haven’t tried a train ride in Sabah, you need to check out what Teoh did when she took a trip to Papar Town on a retro train that has been operating for over 50 years. The great thing is it only costs RM1.85 for a one-way trip to Papar Town, which is 1 hour and 30 minutes away from Kota Kinabalu! When you reach the small town, there isn’t much to do but you can check out the local streets and get a glimpse of the life in a slow-paced town. This is what nostalgic looks like on a train to a hidden town. 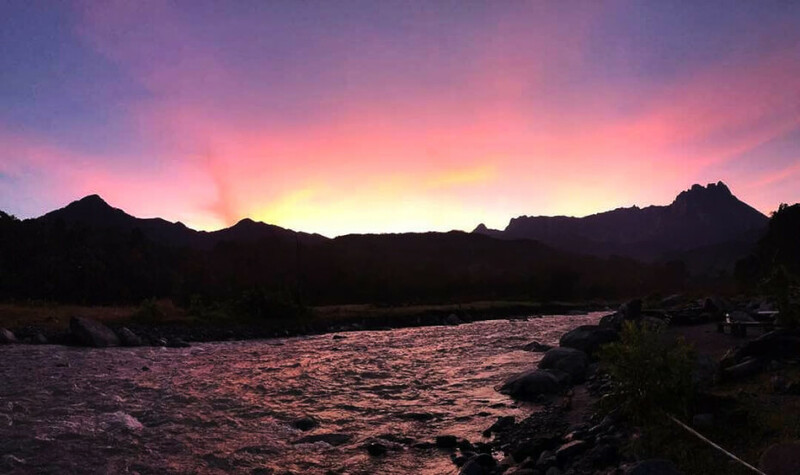 There are plenty of camping sites in Sabah and Pelumpung Melangkap is one of the famous sites as it is next to a clear water river. 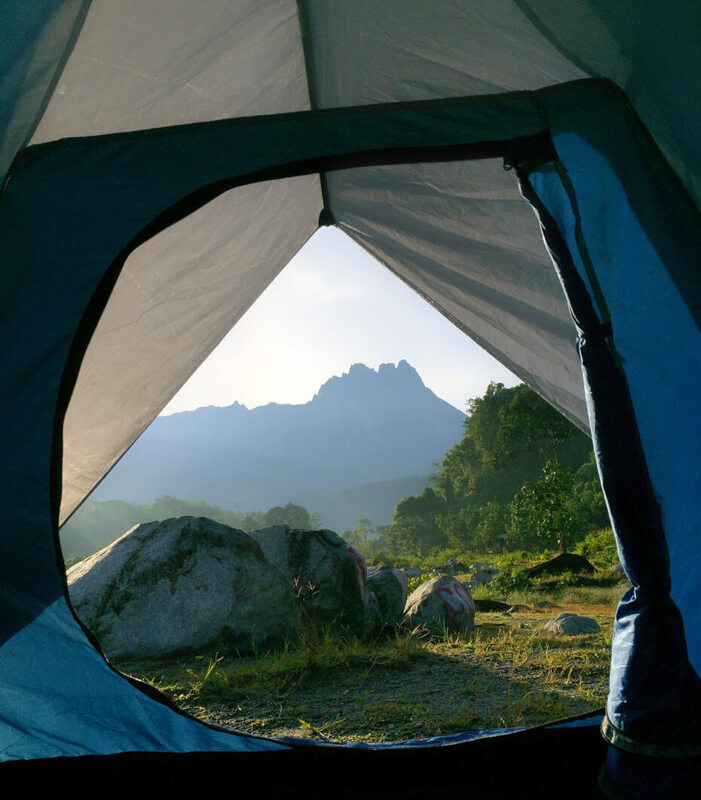 Teoh rented a tent for only RM30 and mattress for RM5 each for an overnight stay and shot this amazing view the next morning. Waking up to this view definitely makes your day better, doesn’t it? You don’t have to go overseas for a camping experience like this! 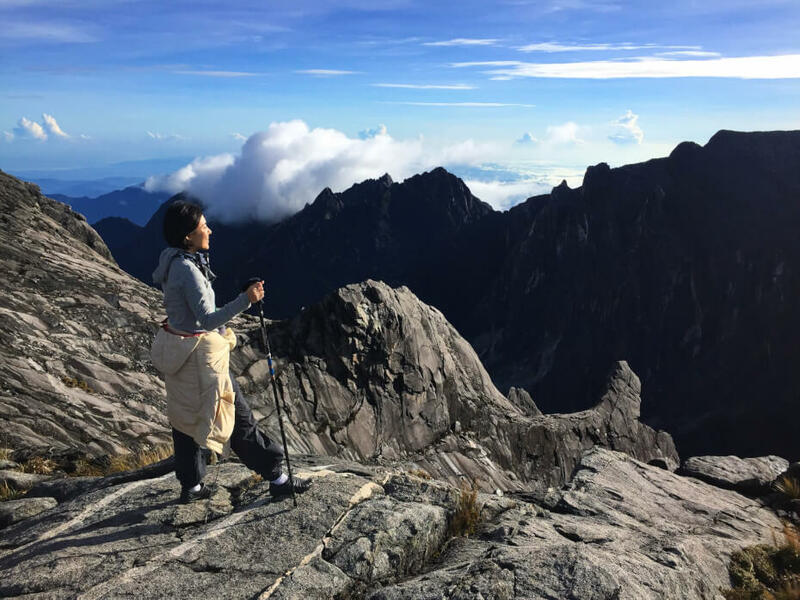 By booking a tour package to Mount Kinabalu at only RM401, Teoh managed to enjoy food, accommodation and a tour throughout the whole trip. 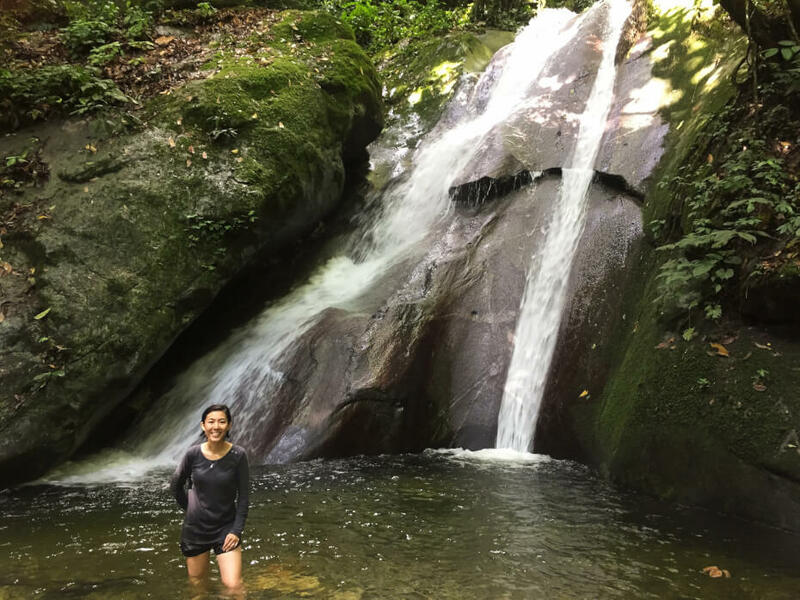 “The whole hike took us 8 hours and it was a really fruitful journey with the help of our tour guide, Venjohn. For those who are planning to go for a hike, they should consider the tour packages offered by the state-operated agency because it is much cheaper than the ones offered by private agencies,” said Teoh. 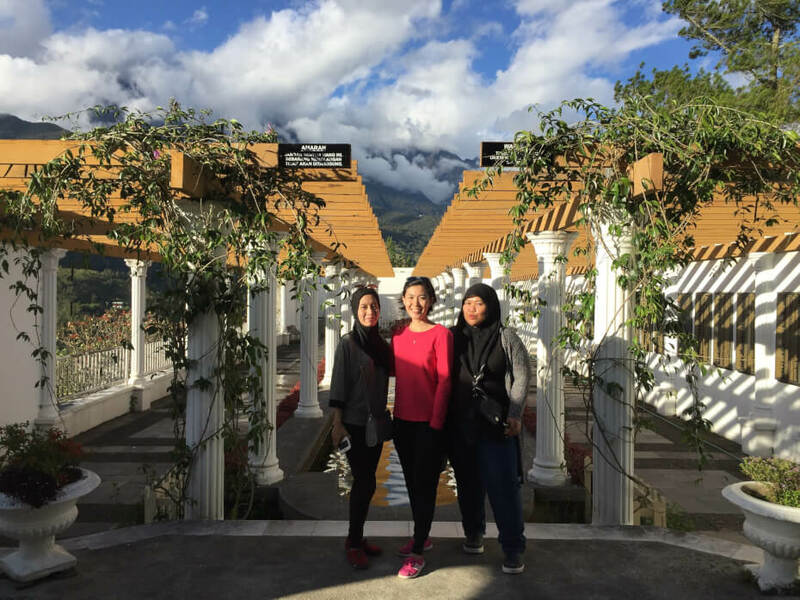 Before the hike, Teoh and her friends managed to visit a night market nearby Kundasang and get a second-hand coat as well as rubber grip shoes for only RM 10 each, which makes total sense because it is very unlikely for them to wear these outfit again! This is what it feels like to be on top of the world. 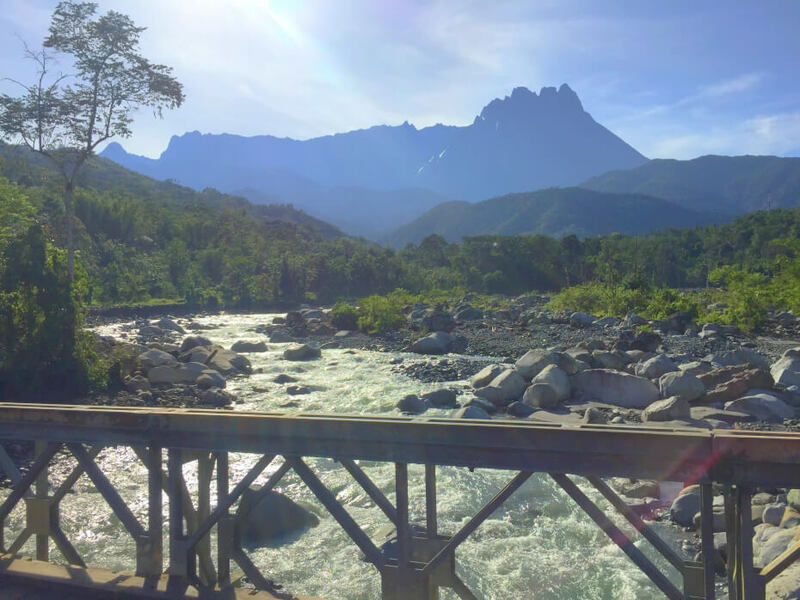 Knows as Sabah’s “Little New Zealand”, this dairy farm located at the foot of Mount Kinabalu offers amazing scenery for that Instagram worthy post. 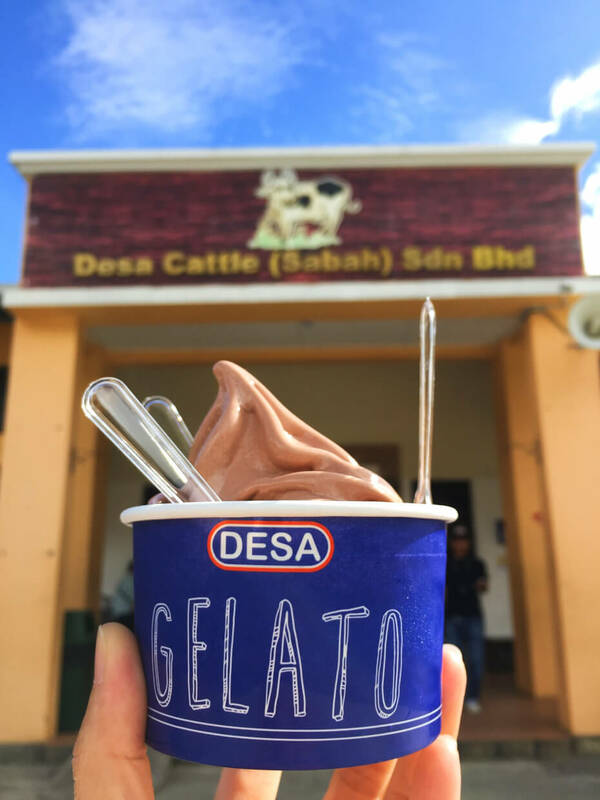 With an entrance fee of only RM5, you can enjoy the feeding activities and milking processes, while trying their dairy products that are super delicious. Taken by Teoh in Desa Dairy Farm, Kundasang. Don’t forget to grab a cup gelato made from the local cow’s milk while you are there. We bet you are excited to visit this magical land that is just less than three hours away from our capital city now! Don’t forget to scout for cheap flights during FREE Seats Promo and Final Call Sale and use the best cashback credit card to save up to RM1,000 a year! Learn more about AirAsia’s promotions here.